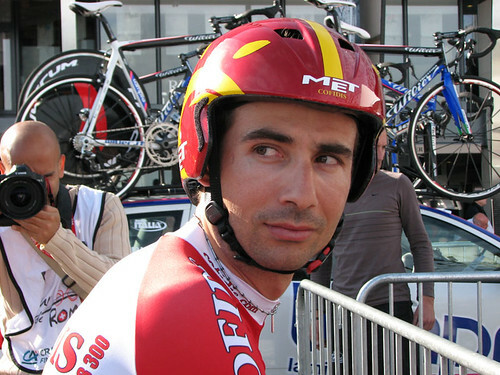 The 62nd Tour de Romandie started today. Romandie (Romandy) is the French region of Switzerland so the entire Tour is near me. Eric, Katy and I went to watch the prologue on the lake front of downtown Geneva. 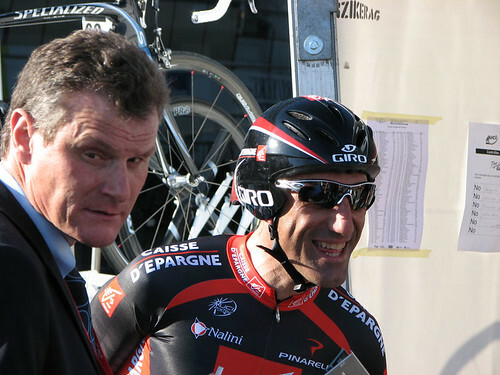 The 62nd Tour de Romandie started today. Romandie (Romandy) is the French region of Switzerland so the entire Tour is near me. 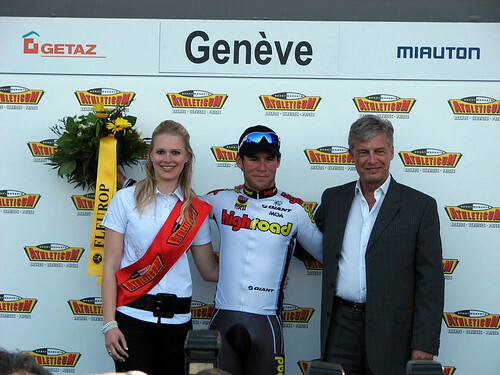 Eric, Katy and I went to watch the prologue on the lake front of downtown Geneva. The course was only 2 kilometres (just over a mile) taking the riders just over 2 minutes. The course was a quick “there-back” so we could watch each rider start and finish. After watching the first 50 or so riders we wandered over to the starting platform and we were able to get withing touching distance of the waiting area for the riders. 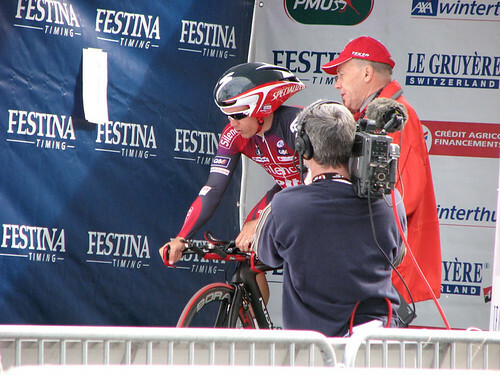 It was pretty fascinating watching each rider go through their personal final preparation. 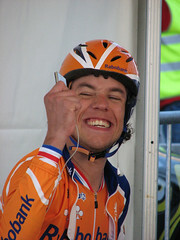 Easily the most relaxed was defending champion Thomas Dekker, who listened to his I-Pod until the very last moment. In the photo he was responding to some Quick-Step guys pointing at his I-Pod. On the victory podium he was presented with the Stage prize, the overall lead yellow jersey, the green points jersey, a white jersey for something I missed — and he even received the pink king-of-the-mountains jersey despite the entire elevation of the stage being 7 metres (20 feet!). Not bad for 2 minutes work. 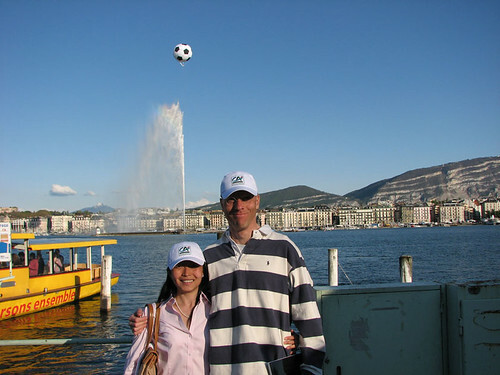 The Jet d’Eau (the 100 metre water spout) now has a floating football (soccer ball) above it in anticipation of the 2008 European Championships next month. PS – Katy (the shorter one below) took all of these great photographs – except the one with her in it of course. Previous ArticleThe 2008 Dauphiné Libéré Gets Steep!